In general, some of what Richard Burgess a.k.a Vegan Gains is going on about on YouTube is SOMEWHAT honorable. What does he do? He points out certain fitness professionals who give out poor advice on training and supplement use. Yes, there are so-called fitness professionals who are lying about their drug use and selling rubbish performance-enhancing and muscle-building supplements, who need to be pointed out. Vegan Gains does do a good job of that. But that is as far as it goes! 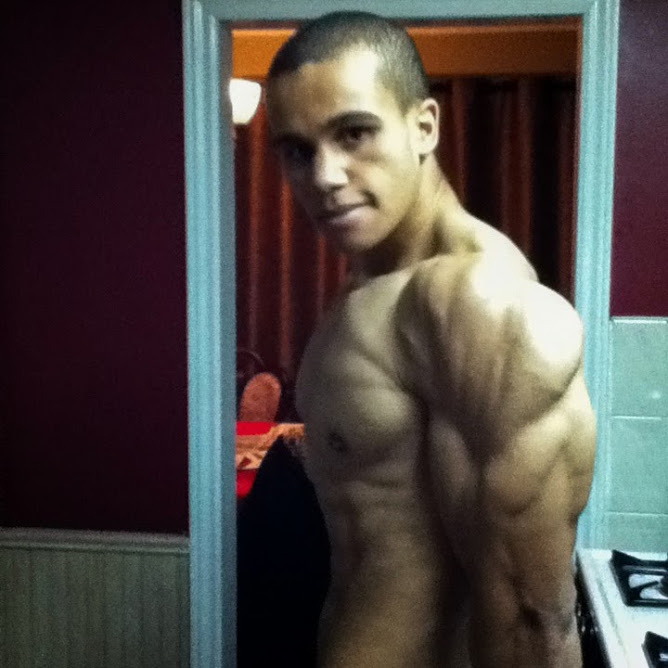 You can see in his YouTube picture he has good upper-body development and definition. But like most guys who train with weight his lower body is not so good. You can also tell that he is a smart guy (at an intellectual level). But smart does not mean balanced. It takes Richard around 10-15 hours to create most his of Worst of The Fitness Industry videos, as he once said in an interview on YouTube. The fact that he spends 10-15 hours on videos that mostly criticize animal products and cherry-pick research supporting a vegan diet, tells you a lot about this guy’s (current) mind-set. Richard has been noted to have mental health problems, which have been documented on the Internet. He even mentioned he had problems with his parents, and what I am sensing is that his self-esteem is not particularly healthy. Being overly critical and rigid (fanatical) is a symptom of poor self-esteem. By the way, lack of self-esteem (self-worth) is a huge, world-wide problem and it manifests differently from one person to the next. The video below proves that he had problems growing up. I came across this one whilst watching a few of his videos. It is a bit of a joking attack on him. (He is asking for it). Richard is a Vegan fanatic. This makes sense, as when he went on a vegan diet it helped to ease his depression and reduce his hallucinations, as he once said in a YouTube interview (this is because this diet helped to balance out his biochemistry). These problems also came from his upbringing, I can sense that. A vegan diet has worked well for him because he descends from ancestors who lived in warm climate. People who come from in or near the equator do better on a low fat, low protein diet with higher amounts of carbohydrates – a more “vegan” type diet. But, for the most part, people who come from around and near the north and south poles do better on higher fat/protein diet with less carbohydrates. This is a FACT! Just look at how the eskimos eat compared to a native Hawaiian. At the time of writing this his latest Worst of The Fitness Industry video attacks Elliot Hulse and in it Paul Chek and the Weston A Price foundation. Feel free to watch it. It’s only around 12 minutes long. For those who do not know who Weston A Price is, he was a dentist, scientist and a genius who travelled all over the world in the 1940/50’s looking at the different diets of native people living at the time. In short, he found out that different people needed different diets due to their environment (basically what I just wrote above), and revealed how the introduction of white man’s food (white flour and sugar) made them sick. You can read more on it in his book Nutrition and Physical Degeneration. In his video attack on Elliott Hulse, he says that Weston A Price foundation cherry-picks research on a high fat, high protein diet. But he is talking to himself, as that is what he does to promote a vegan diet. If you watch this video of Paul Chek, he briefly explains how our biochemistry (Metabolic Type) is different, and different people need different diets. This can change from day to day or even meal to meal. It is all about getting in touch with your body and listening to your instincts, rather than following a particular diet or eating what some other person tells you to. No-one can tell you what you should eat. The only criteria everyone should ideally follow is to eat the best quality food as much as possible and not to eat foods that they react badly to. There are other certain factors that make Metabolic Typing tricky, and that is a parasite and/or fungal infection (as both can make people crave a lot of carbohydrates and junk food), and psychological problems related to food, which again stem from low self-esteem (self-worth).